Vinod Khosla’s Keynote Address on Innovation was the highlight of the Opening Session on Tuesday, October 17, 2006. In his first public presentation, Mr. Khosla, President of Khosla Ventures, provided a venture capitalist’s overview of climate change and the business opportunities created by the need to address this challenge. His PowerPoint presentation was completed early the same morning at 2:00AM! Mr. Khosla expressed concern that reducing solar cell cost may be the wrong focus while balance of system components represented an increasing percentage of system installation costs. 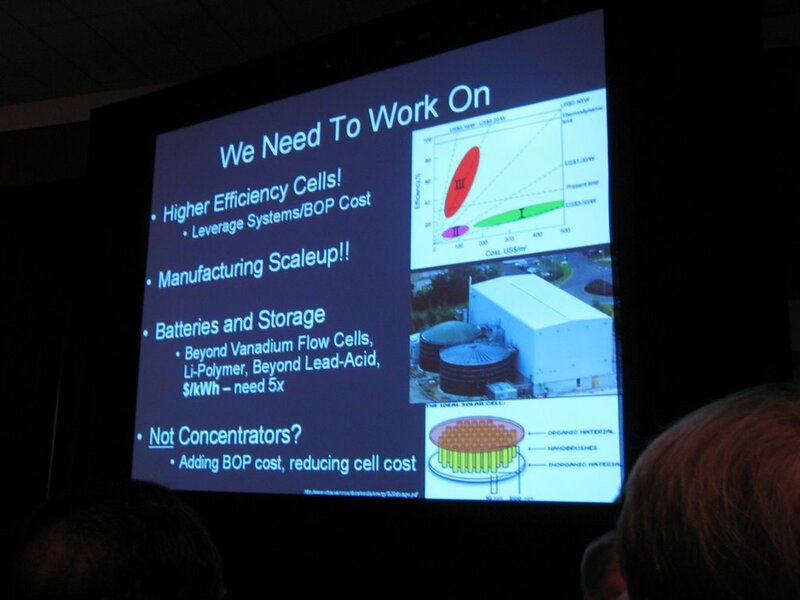 Mr. Khosla shared his interests in energy storage for time shifting and tipped Thermal CSP (concentrated solar power) as the technology he believes will turn off electricity generation from coal. At the end of his presentation, Mr. Khosla spent a few minutes discussing the Proposition 87 initiative. I found his arguments and rationale sound, and I have decided to research and write a position post for or against Proposition 87 before the vote. Here is a Vinod Khosla video bite (on YouTube) from the press conference when he answers a question about major corporations getting involved in renewable energy technologies. 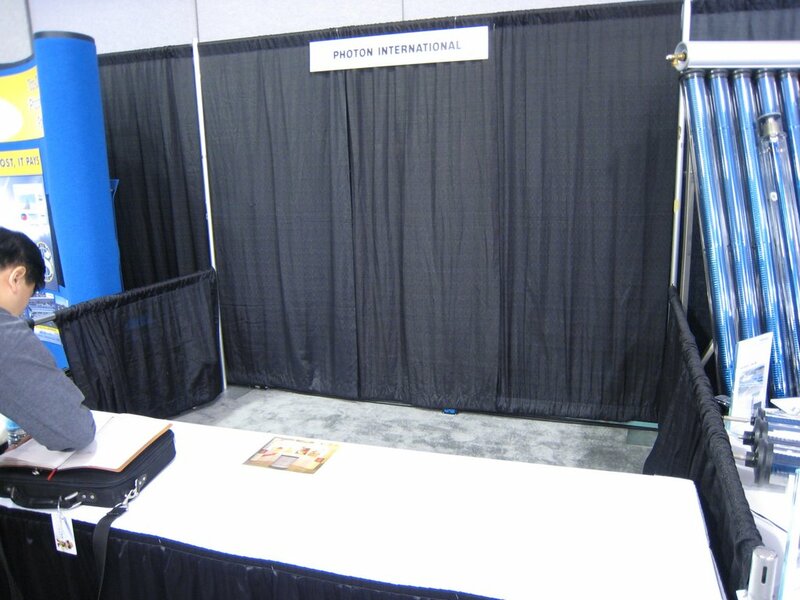 The PHOTON International folks got their exhibit stand setup today. 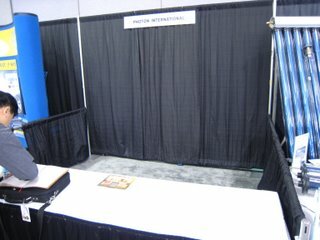 PHOTON boycotted their exhibit space on Monday and Tuesday because their stand and marketing materials were delayed in customs. Perhaps they have been observed laughing too much at the photovoltaic staple of President George W. Bush jokes? Now I can score that complimentary copy of PHOTON International magazine.